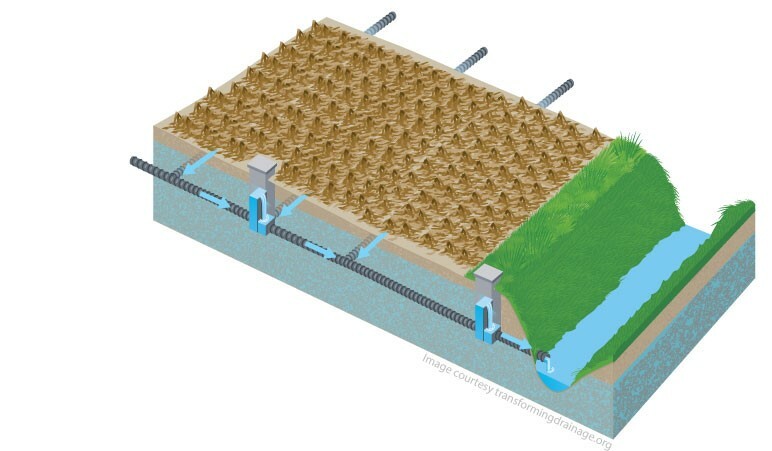 Controlled drainage, also known as drainage water management, is the practice of using a water control structure to raise the depth of the drainage outlet, holding water in the field during periods when drainage is not needed. Unlike conventional free-draining systems that remove excess soil water to the drain depth, controlled drainage increases water retention and storage within the soil profile. 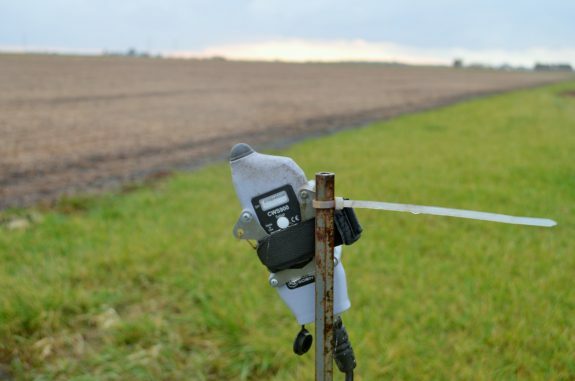 This practice has been shown to be effective in reducing the total drainage volume and associated nutrient loads from tile-drained agriculture, while also providing an opportunity for improved crop yields in certain years. However, many factors such as drainage system design and management, soil types, and climate can all influence how an individual field performs under controlled drainage. 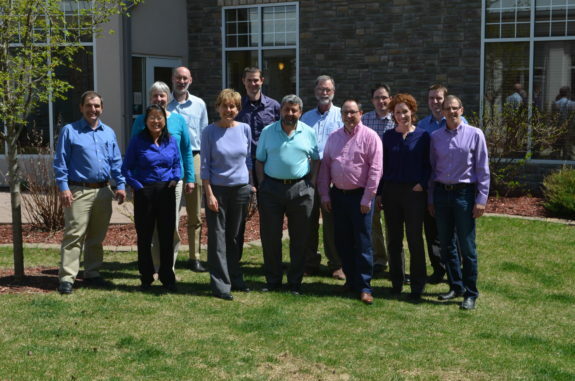 The Transforming Drainage project brings together research from experimental sites across the U.S. Midwest being managed under controlled drainage to explore driving factors and evaluate the potential for increased practice adoption. Corn response to drainage and fertilizer on a poorly-drained river bottom soil. 2015 Greenley Research Center Field Day Report. 1 page summary by P. Nash, K.A. Nelson, and P.P. Motavalli. Corn yield response to managed drainage and polymer-coated urea. 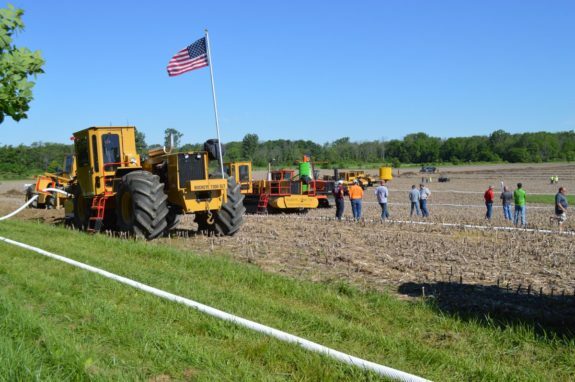 2015 Greenley Research Center Field Day Report. 2 page summary by P. Nash, K.A. Nelson, P.P. Motavalli, and S.H. Anderson. Impact of Drainage Water Management on Crop Yield, Drainage Volume, and Nitrate Loss. 2017 and 2018 Iowa State University Farm Progress Reports from research led by Matt Helmers and Carl Pederson. 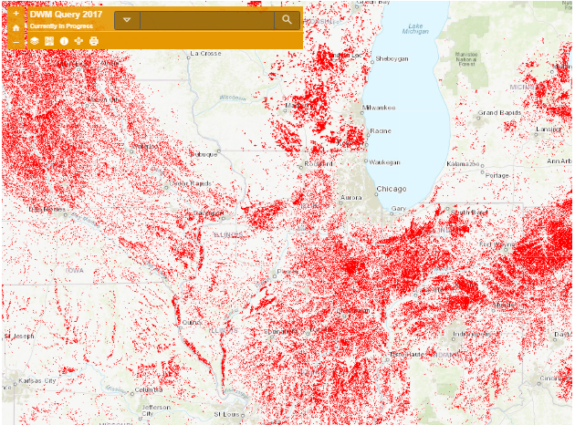 Controlled Drainage Suitability Tool - This map identifies land in the Upper Midwestern United States that has a high probability of being suitable for controlled drainage (CD). 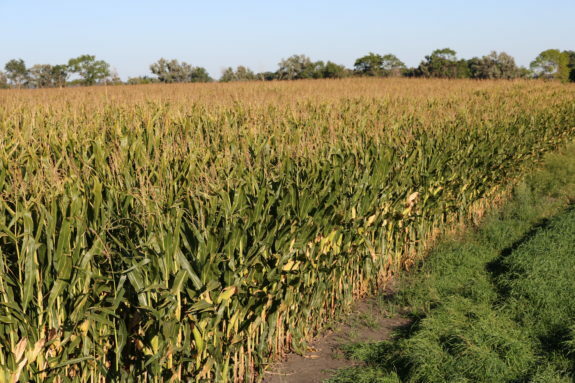 Controlled drainage can boost North Carolina Blacklands' corn yields. Feb. 2017 an interview with NC State researcher, Chad Poole. In Southeast Farm Press. Controlled drainage is the new black. Jun. 2016 article including research being done in North Carolina on controlled drainage systems. In Growing Returns, a blog by the Environmental Defense Fund. Taking tile to the next level. Apr. 2015 article discusses controlled drainage in Indiana; what it is, where it applies, and how to do it. In The Back Forty, a regular column found on Prairiefarmland.com. Fausey, N, M. Williams, and K. King. Using Inline Water Level Control Devices for Improved Drainage Water Management. 2016 NCERA-217/ADMS Annual Meeting. West Lafayette, IN. Mar. 29 - Apr. 3, 2016. Locker, A. J. Frankenberger, L. Bowling, and E. Kladivko. Crop yield effects of controlled drainage, soil drainage class, and elevation. 2018. NCERA 217 Annual Meeting, Raleigh, NC. Apr. 12, 2018. Locker, A., J. Frankenberger, L. Bowling, E. Kladivko. Impact of Controlled Drainage on Corn Yield in Dry and Wet Years. 2017. 2017 NCERA-217/ADMS Annual Meeting. Champaign, IL. Mar. 29 - 30, 2017. Saadat, S., L. Bowling, and J. Frankenberger. Long-Term Hydrologic Impacts of Controlled Drainage Using DRAINMOD. 2018 NCERA-217/ADMS Annual Meeting, Raleigh, NC. Apr. 12, 2018. Saadat, S., J. Frankenberger, and L. Bowling. Subsurface Drain Flow Estimation Using Water Table Observation to Estimate Nutrient Loads. 2016 NCERA-217/ADMS Annual Meeting. West Lafayette, IN. Mar. 29 - Apr. 3, 2016. Saadat, S., J. Frankenberger, L. Bowling, and E. Kladivko. Controlled drainage effects on annual drain flow and nutrient losses. 2017. 2017 NCERA-217/ADMS Annual Meeting. Champaign, IL. Mar. 29 - 30, 2017. Sahani, A., Ahiablame, L., and Hay, C. Impacts of Drainage Water Management on field-scale hydrology and water quality in Eastern South Dakota. 2016 NCERA-217/ADMS Annual Meeting. West Lafayette, IN. Mar. 29 - Apr. 3, 2016. Schwaegler, K., L.J. Abendroth, G. Chighladze, M. Helmers, and D.E. Herzmann. 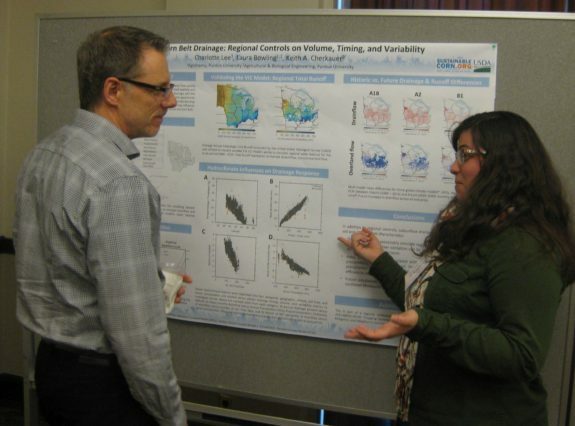 Spatial and seasonal variability in nitrate loading in the Corn Belt. 2018 NCERA-217/ADMS Annual Meeting, Raleigh, NC. Apr. 12, 2018. Smith, S., and L.C. Bowling. 2017. A Decade of Observed Data for Evaluating Management Options of a Managed Wetland. 2017 NCERA-217/ADMS Annual Meeting. Champaign, IL. Mar. 29 - 30, 2017. Saadat, S., J. Frankenberger, and L. Bowling. Impacts of Controlled Drainage using DRAINMOD. 2017. American Geophysical Union Annual Meeting. New Orleans LA. Dec. 11-15, 2017. Locker, A., J. Frankenberger, and L. Bowling. Impact of Controlled Drainage on Crop Yields. 2017. 2017 Davis Purdue Agricultural Center Drainage Field Day. Farmland, IN. Jun. 7-8, 2017. Saadat, S., J. Frankenberger, L. Bowling, and E. Kladivko. Water quality impacts of controlled drainage. 2017. 2017 Davis Purdue Agricultural Center Drainage Field Day. Farmland, IN. Jun. 7-8, 2017. Saadat, S., J. Frankenberger, and L. Bowling. 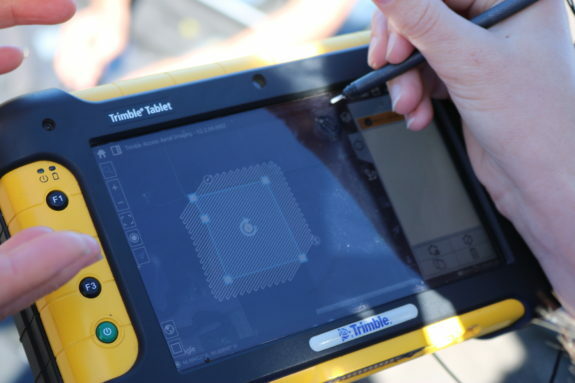 Understanding and evaluating hydrological and environmental impacts of controlled drainage at the field scale using observations and simulated data. 2017. 4th Annual ABE Industrial Research Symposium. West Lafayette, IN. Feb. 16, 2017. Locker, A. 2018. Controlled Drainage: Assessment of Yield Impacts and Education Effectiveness. Purdue University, West Lafayette, IN. ProQuest Dissertations Publishing. 10841298. https://search.proquest.com/docview/2103938365. Nash, P., P. Motavalli, K. Nelson, and R. Kremer. 2015. Ammonia and nitrous oxide gas loss with subsurface drainage and polymer-coated urea fertilizer in a poorly-drained soil. Journal of Soil and Water Conservation. 70. 267-275. doi:10.2489/jswc.70.4.267. Nash, P., K.A. Nelson, and P.P. Motavalli. 2015. Corn response to drainage and fertilizer on a poorly drained, river bottom soil. Agronomy Journal. 107. 1801-1808. doi:10.2134/agronj14.0380. Nash, P., K. Nelson, and P. Motavalli. 2015. Reducing nitrogen loss with managed drainage and polymer-coated urea. Journal of Environmental Quality. 44. 256-264. doi:10.2134/jeq2014.05.0238. Nash, P.R., K.A. Nelson, P.P. Motavalli, and S.H. Anderson. 2015. Corn yield response to managed drainage and polymer-coated urea. Agronomy Journal. 107. 435-441. doi:10.2134/agronj14.0273. Nash, P.R., K.A. Nelson, P.P. Motavalli, M. Nathan, and C. Dudenhoeffer. 2015. Reducing phosphorus loss in tile water with managed drainage in a claypan soil. Journal of Environmental Quality. 44. 585-593. doi:10.2134/jeq2014.04.0146. Negm, L.M., Youssef, M.A., Jaynes, D.B. 2017. Evaluation of DRAINMOD-DSSAT simulated effects of controlled drainage on crop yield, water balance, and water quality for a corn-soybean cropping system in central Iowa. Agricultural Water Management. 187. 57-68. doi.org/10.1016/j.agwat.2017.03.010. Ross, J.A., M.E. Herbert, S.P. Sowa, J.R. Frankenberger, K.W. King, S.F. Christopher, J.L. Tank, J.G. Arnold, M.J. White, and H. Yen. 2016. A synthesis and comparative evaluation of factors influencing the effectiveness of drainage water management. Agricultural Water Management. 178. 366-376. doi:10.1016/j.agwat.2016.10.011. Saadat, S., Bowling, L., Frankenberger, J. and Brooks, K., 2017. Effects of controlled drainage on water table recession rate. Transactions of the ASABE, 60(3), p.813. doi: 10.13031/trans.11922. Saadat, S., J. Frankenberger, and L. Bowling. 2016. Quantifying Nutrient Loads with Estimated Drain Flow Using Water Table Observations. 10th Int. Drainage Symp. St. Joseph, MI: ASABE. doi:10.13031/ids.20162514998. Zurweller, B., P.P. Motavalli, K.A. Nelson, and C.J. Dudenhoeffer. 2015. Short-term soil nitrous oxide emissions as affected by enhanced efficiency nitrogen fertilizer and temporarily waterlogged conditions. Journal of Agricultural Science. 7. 1-14. doi:10.5539/jas.v7n12p1.